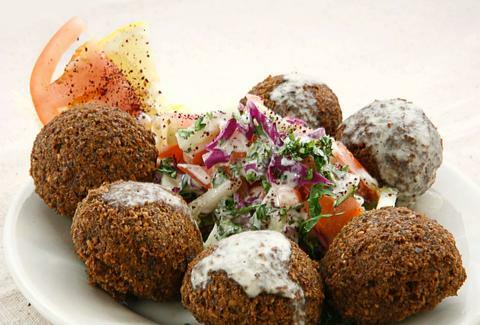 Falafel is a versatile dish -- you can eat it straight-up, in a salad, alongside other delicious, appetizer-y type things, or in a pita (best option, clearly). 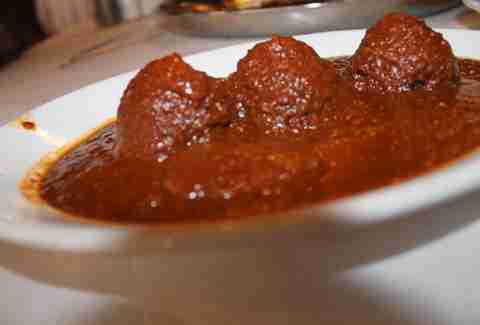 So, who makes the best deep-fried Middle Eastern treat in town? 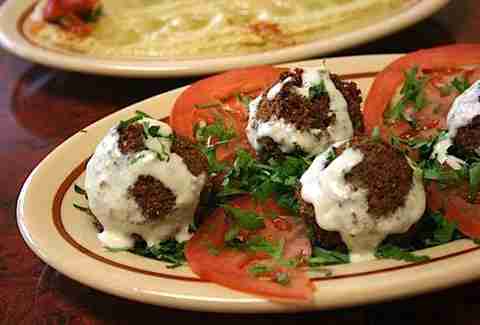 Well, Chicago’s 11 best falafel spots are a good place to start. 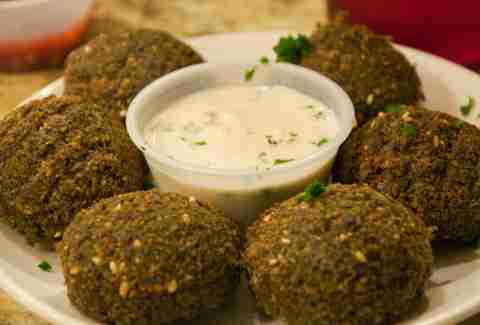 Falafel and belly dancers? Yessir -- AND this place is also BYO. So stop in, park it on a throw pillow, enjoy the show, and go to town on a vegetarian platter, which comes with hummus, baba ghannouj, dolma, and falafel (obviously). With multiple locations around the city (including one massive space in River North), Reza’s does a few different takes on your standard falafel fare. 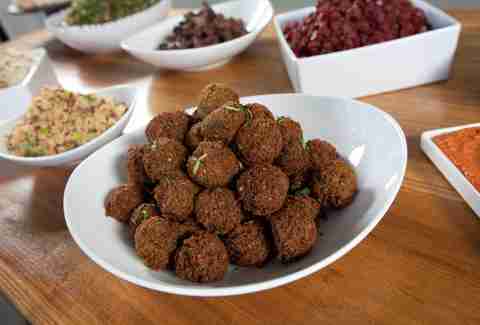 Purists can enjoy ‘em plain while more adventurous eaters can go sweet and salty with the vegetarian shami app, a dish that tops three falafel balls with tons of pomegranate and crushed walnut sauce for extra kick. 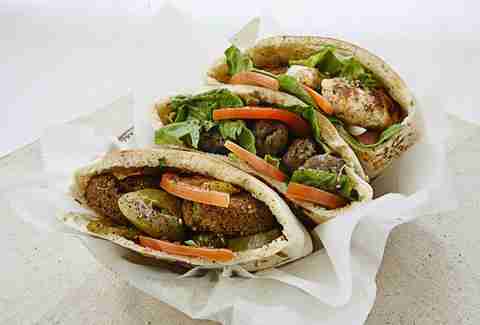 Falafel is the namesake item at this quick stop, offering two viable options: the classic falafel and the curry falafel, which is a slightly more flavorful falafel made with yellow lentil in addition to chickpeas. Either option is available in a bowl, in a wrap, in a sandwich, or in all three -- yespleasedothat. If large portions and low prices are your thing (Editor's Note: THEY ARE), pay one of Salam’s locations a visit. In addition to being cheap, it’s also home to Chicago’s most perfectly textured falafel -- which gets extra points for expertly toeing the line between juicy/greasy and fresh tasting/homemade. 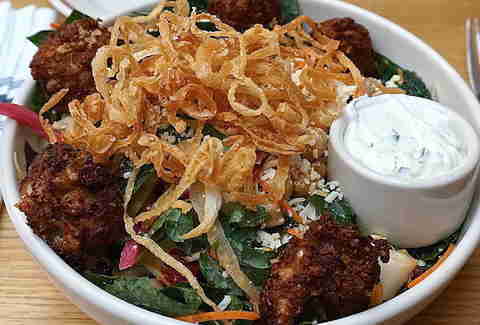 Throwing some falafel on a salad is nothing new, but Little Goat’s take on the dish is seriously interesting. The West Loop diner concept’s chickpea salad is built around tiny balls of fried chickpea with lots of kale, chopped veggies, and MontAmore cheese thrown in for good measure. It’s all dressed in tzatziki and chee vinaigrette and you can add chicken. Oh, and don’t let the word “salad” fool you: this is a meal. Despite the fact that this hidden gem is adjacent to the Steppenwolf Theatre, few people seem to know about it, which is good for you. 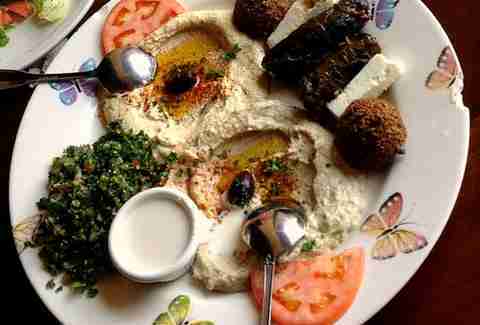 The prices are great, it's BYO, and the food -- falafel included -- is excellent and always fresh. The falafel at Hala In (which is getting tons of praise for its inexpensive, authentic Middle Eastern food) is standard, but remarkably solid, with a nice crisp and a bit more flavor than most of the falafel dishes you’ll find around town. This Middle Eastern market is a huge hit, thanks to its delicious falafel, which goes for 50 cents apiece. The market does make one crucial mistake, though: it suggests ordering two pieces per person, which is clearly not enough. 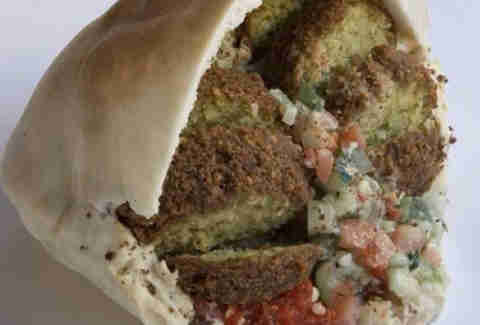 Get the sandwich, which is probably the best in town, served in a warm pita lined with hummus and stuffed with falafel, tomatoes, and Jerusalem salad. Let’s just say this: there’s a distinct possibility that you’ll end up taking down a few orders of Ameer Kabob’s falafel appetizer all by yourself. It’s just one of those bite-sized, deep-fried share-plates-you-don't-actually-share that sends willpower flying out the window. And the tahini sauce in no way makes this thing any less addictive. Definitely. Not. At all. Nope. This South Loop restaurant takes Middle Eastern favorites -- think kabobs, hummus, and yes, falafel -- and serves them up in a tapas-style setting. 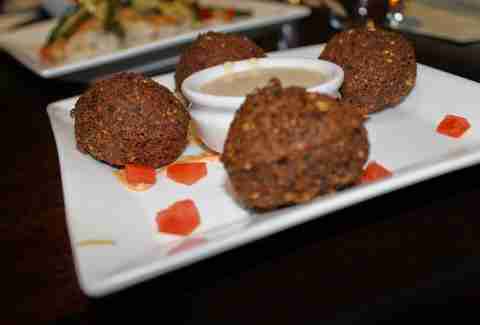 There’s a fusion twist to many of the dishes, but the falafel appetizer is faithful to falafel purism: They’re small, crispy, and served with a straightforward tahini sauce. You know the drill by now: Lightly fried chickpea balls served with tahini sauce. 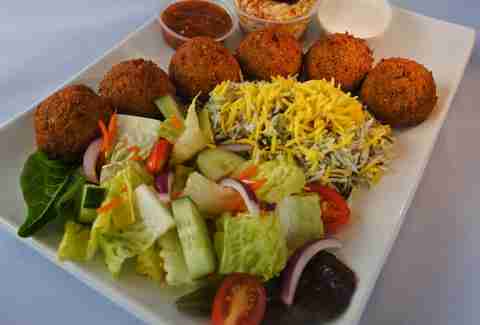 The falafel at Albany Park’s Noon O Kabab is, like everything else at the Persian eatery, truly, superbly delicious. The restaurant’s authenticity and fantastic service don’t hurt either.